Since starting out in the health and fitness industry back in 1983, I have dedicated myself to helping people from all walks of life reach the full potential of their physical wellbeing. 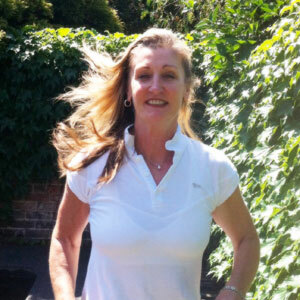 My three decades of experience have included running aerobics studios (Annandale Aerobics) and other businesses as a personal trainer, sports therapist and lifestyle coach. I have many long-standing loyal clients, and work hard to put myself through the same regimens as my clients in order to best understand their capabilities and obstacles. As an accredited exercise physiologist and therapist, I offer a service that specialises in remedial health and fitness management for the mature woman, particularly in relation to menopause-related matters, as well as anyone aiming to reduce the impact of illness or injury. I work with men and women who range from top-level competitive sportspeople, to anyone who is looking to make a noticeable and effective improvement to their physical health. I can help clients overcome emotional obstacles that might be blocking their fitness goals. My studio/gym is located in a quiet garden setting in Drummoyne, in Sydney’s Inner West, and its facilities include weights, treadmill, cycles, rowers, a pool and bathroom/changing room. Most private health funds will offer rebates for some of my services (check your policy details). With a referral from your GP, you can claim a rebate for some consultations from Medicare. Read testimonials from some of my clients here (opens a new tab).